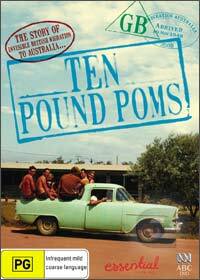 My father in-law is "almost" a ten pound pom and this in-depth documentary traces the story of this mass migration from the UK to Australia during the post-war period through to the 1960s. Amazingly enough, over 1.5 million Brits migrated to Australia which was one of the world's largest migrations of modern man. This documentary tells the heart break and challenges that many of these people faced as their dreams became a reality with some harsh consequences of being so far away from their loved ones. Amazingly enough, almost a quarter of these migrants returned to England from the stress and hardships that they faced but for those who remained, this tale is quite inspiration.